Everyone needs to approach their relationships a little differently. Long distance relationships are a mix of excitement, longing, frustration, and complexity. The beauty of a long-distance relationship is that you value your partner and your time with them. Because your time spent with your significant other (SO) is limited, it makes it both invaluable and meaningful. As a result, when you are in a long-distance relationship, you forge a strong emotional bond with one another. By understanding who you are and using your Myers-Briggs personality type, it can help you figure out the best way to navigate your long-distance relationship using your personality traits to create a closer connection to your SO versus doing the opposite. First of all, it’s important to know your personality type. If you are unfamiliar with Myers-Briggs personality profiles, find out which personality traits you embody using the Myers-Briggs personality test and have your SO do the same. Based on your personality type, your needs will be different. So, let’s navigate together how to make a long-distance relationship work based on your Myers Briggs personality type. If you’re an ESFP, this is who you are: ESFPs are adventure seekers. Here are some signs of a true ESFP. They may spend their extracurricular time snowboarding, hiking, parasailing, participating in marathons or different adventures which make them feel alive and in the moment. They can’t help it. It’s in them to be adventurous and fun-seekers. They make great partners too. They love being in a relationship, but only if the relationship allows them to continue to seek out new adventures. Long-distance advice: Make sure you include your partner in some of your adventures and excursions. Adventures make you feel present in the moment are part of your core spirit. You need to make your partner part of these experiences to continue to strengthen your bond with them. Make sure you and your SO are planning events in which you can share meaningful experiences. Together, try glamping, water rafting, or taking in an experience such as maybe observing nature at least once a month. In doing so, it will help you stay connected to your SO. You are an artist in heart and spirit. You see the beauty in others but sometimes may have difficulty receiving the same reciprocity from your SO. When someone values you as much as you appreciate them inside and out, you’ll know that you have found the person for you. Long-distance advice: You see the good and beauty in others, but you are yearning to receive this recognition from your SO too. Make sure you include plenty of interaction with your partner in creative formats. It can consist of doing plenty of FaceTime and Skype because the visual interactions feed your emotional connection to your partner. Share experiences with your partner of going to art galleries, museums, and other events which help you both to see the beauty of life, nature, and others. It will help your partner understand what makes you tick and help them see not only your outer beauty but inner beauty and spirit too. There are a ton of long-distance gadgets that can be used by you and your SO to let one another know you are top of mind and spirit. You have a knack for helping those in need. Because you are a natural giver and nurturer, it’s easy for you to fall into a relationship. But, often times, you may find yourself depleted as you give and give and not receive the same in return. When you have found someone who loves you and wants to be with you not because of what you can provide or give to them but because they genuinely love you too, it is evident and appreciated on your part. Long-distance advice: You need to be taken care of because you tend to take care of others. Let your partner know the importance of small gestures for you. You enjoy receiving flowers, gifts with personal sentiments behind them, and just knowing that someone has your back. Your partner should surprise you with an impromptu visit, some time in wine country, or treat you to something you can enjoy, i.e., a massage, a celebratory dinner, etc. It will help you feel safe and secure in your relationship knowing that they have your back too. Safety, stability, and security are important to you. It helps you to love freely and willingly. You tend to invest a lot in your relationships and want it reciprocated in kind. You know you have met the one that is right for you when these fears become alleviated. They will make you the center of their world and leave little doubt as to how important you are to them. Long distance tip: Let your partner know you need quality time and interactions. You need to know you matter to them. When you get this from them, it will make you feel less insecure in your relationship with them and allow you to open up to them entirely. Open and continuous communication will help your relationship flourish. Texting is cool, but Skyping, using FaceTime, and talking on the phone matter too. Carve out special times for interactions with your SO and make consistent plans to be around one another. It will nurture your relationship and give you the comfort needed that they are committed to you. Sometimes you can get a bad rep, and seem like you aren’t willing to commit. It’s because you have a lot going through your head relating to ideas, options, and what you’re trying to accomplish. You like keeping your options open, but it doesn’t mean you can’t commit. It has to be the right fit. Here’s how you will know. Being with the person who is the right connection for you, will open up your world beyond what you’re able to see. This is a big deal because you see the world from a lot of perspectives. Your partner will challenge you, make you feel like you can accomplish more, and you will naturally want to be better for them. 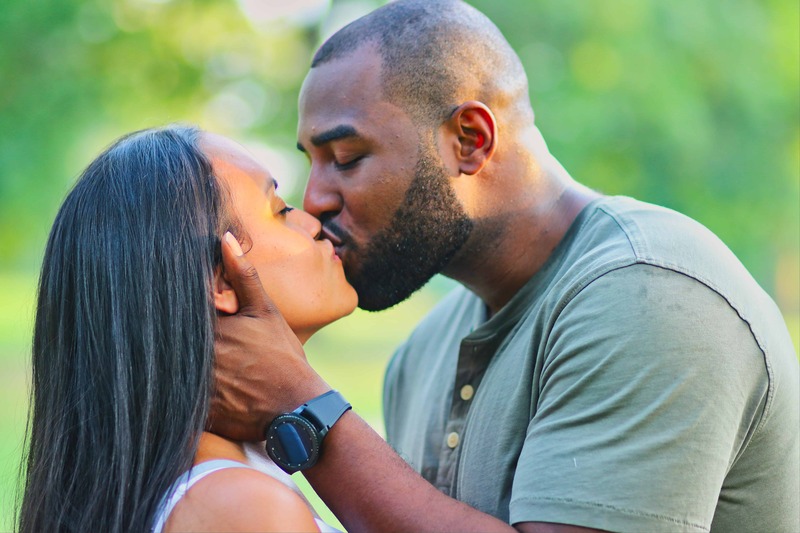 Long-distance advice: Because you are often misunderstood, and you can seem like you are on the fence in your relationship, be open and have plenty of communication with your SO. Let them know that you need the mental stimulation with them because it helps to feed your emotional and sexual energy with them. If you are in a long-distance relationship you will appreciate someone who is highly communicative, allows you to share your ideas and thoughts of the world openly. Watching movies, reading about specific topics and doing activities like crossword puzzles with your SO will deepen your connection with them and make you feel as though they are part of your personal growth too. If you’re an INTP, one of your best traits is loyalty. You will be there unconditionally for your partner. But here’s the key to making sure your partner is there for you too: they will love you, but not necessarily need you. Confused? Because you are rational and you know yourself well, sometimes you may not pick up on the subtleties of others’ feelings. It can be hard for you to differentiate when someone is genuinely there for you. Here is how you can decipher: if they choose to be with you, decide to do for you without gain because they want to do so, this one is someone to take seriously. Some other clues, because I know you want more details, are their responses to being around you. They enjoy you, your independence, and aren’t overly needy with you. They are comfortable in their skin. If you see these traits in your SO, keep moving forward with this relationship. Long-distance advice: You are an independent thinker and highly logical, but don’t be afraid to engage your feelings too. Your feelings often aren’t rational, but they can give you a gut feeling if something feels right or wrong if you learn to trust them. Take some risks in your relationship with your SO. Put your passions, dreams, and thoughts out there in the open to your SO. I know this is probably freaking you out a bit, but try it in small doses. It will help your SO know that you value and trust them and also help you to build your emotional bond with them. Hey ENTJs, one thing that is amazing about you is your ability to think things through to the end. It will be visible when you fall in love because this person will become a natural extension of your life and life plans. You are a thinker and strategic in nature, so when you align with someone, it will logically click together. You will continue to think out the why’s, when’s and how’s, but this is when you need to know your heart is at play. You are with them because you want to be with them. And this is the emotional aspect that you need to embrace. Long-distance advice: Stop strategizing as much and go with the flow. Love is a mix of logic, illusion, and mirages. I know you are re-reading that sentence like, “WTH!?”. But what I’m saying to you is let go of some of your desires to always plan and see the future, and be with your partner in the present. It means being spontaneous about going on a trip, doing something new that might be outside of your comfort zone, and carpe diem (seizing the moment). Try to do this regularly. Planning is essential to get things done, but you and your SO too will treasure those moments of spontaneity and simply being in the moment. You have some high standards. You’re very clear on what you will and will not tolerate. Having standards is a good thing, but sometimes life can throw you a curve ball when you have a specific picture of your mind of what you want and it shows up in a different package. You will know that you have met the one for you when you start to think about whether you are good enough fit for them. It’s an oxymoron, but true. Long-distance tip: Be flexible and observant with your partner. Talk openly about relationship expectations with one another and honor them. Create consistent timeframes for specific commitments to one another. Check in frequently to make sure you both are getting what you need. You both like order in what you are doing in your life and knowing that you both are on the same wavelength will help your relationship blossom and become stronger. You like to be needed, but not by everyone. This principle applies to those you love and care for deeply. When you have met the one you have determined will be your SO, your tendency to care and take care of them will be on full display. It will even shock you. Go with it because intuitively you will feel they are the right fit for you because you care about them and their well-being. Long-distance advice: You move pretty quickly through life. You are action-oriented and believe things only happen if you put yourself out there and do it. Here is how you can make this work in your long-distance relationship. Look at your relationship as an adventure and do things that you know will make you feel like you and your SO are creating your original love adventure. You have an adventuresome spirit, so bring your SO into your world and show them how fun you can be when you are in your element. Make time to do something with them once a month that you genuinely find enjoyable and exhilarating. It will make you even more connected to them as you show them how multi-faceted you can be. You can get stressed out navigating relationships. You tend to be practical, smart, and just grounded in reality. When you can’t figure out your partner’s expectations, it can stress you out and cause you to disconnect, not because you don’t care, but because you may struggle to figure it out. When you find a fit, you’ll know it because you won’t overthink it. It will come naturally and flow smoothly. You fit with them, and they will fit with you. Long-distance advice: Communicate, communicate, communicate. Keep the lines of communication open with your partner. Don’t assume why they are feeling or reacting a certain way. Instead, ask them why to seek a clear understanding of where your SO is coming from and what they need from you. Check in regularly via communication, and be present in your interactions with one another so you can learn to understand your SO’s needs. Your SO will appreciate it and will help your relationship to thrive and move forward. You like to be in control, and you are the one who usually takes charge of all aspects of your life. You are methodical. You know how you want things to play out. And this works well in other aspects of your life but can be detrimental in your relationships. You will know you have found love when you can let go of your need to control every aspect of it. It will be tough. But, you have to lean into this one, if you want your relationship to prosper. Long-distance advice: Resist the urge to control every aspect of your relationship. It will be hard because you are used to and comfortable with taking charge. It’s an admirable trait, but one that has to be balanced in your relationship. By allowing yourself to give your partner some flexibility and an ability to be true to themselves will free up some of that pressure you may feel always to manage the situation. Your relationship is a relationship. It doesn’t need to be managed to a tee. Practice allowing your partner to make decisions for both of you. Let your SO be true to themselves and watch this help your relationship grow a great deal. You’ll find that your partner will also grow and you will become more confident knowing that they have your back too! ISTJs are needed in the world and can be good partners in relationships because they are consistent. You have a moral compass and when you commit to something you usually see it through. You like rules and authority and have a guide to the way you do things in your life. You will know that you have found the right person when you are willing to put yourself out there for them, and they challenge your belief systems which make you reassess how you see things. Long-distance advice: Flexibility is a word which will help you make your relationship better. Sometimes rules are made to be broken — or let’s say revised. Don’t be afraid to try things your partner suggests even if you have a tried and true way of doing things. It will feel uncomfortable, but also help you to reassess maybe some of the rules and value systems you have been holding near and dear. When you are hesitant about something relating to your SO, ask them why they see it the way they do, listen, and then observe how it works for them. It will open up your relationship dynamics and help both of you complement one another. Often known as the explorer and putting all of your energy behind those things that interest you, it’s easy for you to move throughout relationships continuously. It’s not that you don’t want to commit, you just don’t want to feel as though a relationship limits you from being true to yourself and what you need to feel connected to the world. You will know you are in love when your partner allows you to be who you are without feeling restricted, is complementary to what you are doing, and helps to expand your world-view. Long-distance advice: Sometimes you can get in your head and stay there. It’s because you have a lot going on in your mind space. Do the following in your long-distance relationship: make your SO a part of what you are doing and focused on in your life. Ask for your SO’s input regularly, how they see it, how they look at you do it better, etc. Let your SO know when you are taking some time away to focus on something, so they know it’s not that you are ignoring them but need these moments to recharge and be better for them. It will provide them with the security of letting them know how important they are to you and nurture your relationship while still making you feel like you are unlimited in pursuing your endeavors. You know you are an INFP if you know how to make things look better than they may be in real life. It’s a good trait. You see the good in others, and you know how to orate this in such a way that others buy into what you are presenting. But sometimes this unrealistic picture you paint in your mind, along with others means that you aren’t fair as to what you expect from your partner. You’ll know you have found someone who is compatible for you when you don’t have to make anything up or add to the narrative. It will be a solid truth as to their character, personality traits, and who they are as a person. Long-distance advice: Be reasonable with your partner. Have realistic expectations of them. If you hit a speed bump in your relationship go to your most authentic and trustworthy friend. Yes, that is my creative way of saying, go to the person who is honest to a fault and ask them about your relationship issue to ensure you are not holding someone to standards that are not attainable. When you feel like you want to give up in your long-distance relationship (LDR), go to that sounding board to make sure you are fair. Don’t expect perfection, instead think more of the lines of work in progress. It will help you to assess your SO more fairly and your relationship to evolve naturally. You’re warm and fuzzy and smart too. It makes you quite attractive to others. You enjoy learning, and you are a natural teacher to others. You see things clearly from the other person’s perspective. It’s a good trait to have, but often can leave you being overly sympathetic to someone else’s needs versus your own. When you meet a person who is worthy of you, you’ll know it because they will be vested in your needs too. It will be the person who mirrors many of the traits you have given to others which is now reciprocated to you. Long-distance advice: You know the old saying, “There is more happiness in giving than receiving.” You have that one down. But, there can also be happiness in receiving too. Don’t be afraid to put out your needs in your LDR too. And when those needs are met, it’s ok to accept them and be happy in the process. Your needs matter too! Make sure you let your partner know when you are feeling a little burned out with giving and allow your SO to step in and help ease you through these moments. Looking for ideas? When your SO is in town let them run a bath for you, take an errand off your plate, or sit and cuddle with you. It will help you learn the importance of being nourished as well as being the nourisher in your relationship. If you are an INFJ, you are scarily perceptive of others. People naturally open up to you with some of their deepest secrets. It’s your gift, and it’s one you don’t take lightly or abuse. The tricky part for you is when you are in a relationship, you may not feel that others get you. You are deeply complex, yet simple. Your SO will be evident when they see in you what you easily can see in others. Long-distance advice: You can connect with others because of your intuitiveness and high level of perceptiveness. Now comes the hard part of doing this in your relationship. You have wanted someone who can understand you beyond what is at the surface. In your LDR, it will be strange to have this dynamic. But, you have to trust your feelings. Go with it, and let your partner embrace you for exactly who you are as a person. Don’t overthink it. Quality time, open communication, and transparency of your emotions with your SO will help your LDR in significant ways. Understanding your personality type can give you great insights into your SO and LDR. Don’t despair when you hit a hiccup in your relationship. You can use this cheat sheet to focus on those things which will help you design the relationship that works best for you and your LDR relationship.